The iPhone App-Store is home to thousands upon thousands of apps, some of them useful, some of them .. not so useful. One of the most popular and useful however is the WordPress App for iPhone, which will let you write posts, upload photos, edit pages, and manage comments on your blog all in the palm of your hand. 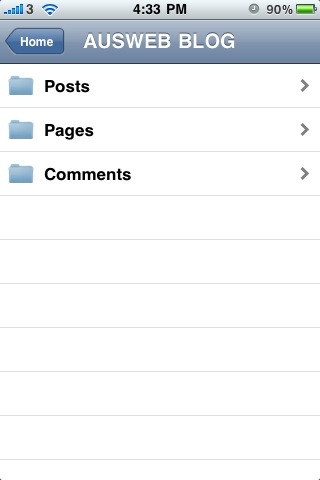 Okay, so you’ve downloaded the WordPress App from the iTunes App-Store on your iPhone. First things first you must make sure WordPress has the correct options enabled to allow the iPhone App to work properly. First of all, the iPhone App only works with WordPress version 2.7 or higher – so if you need to update your installation get started! You can refer to the WordPress codex for instructions on upgrading or installing the latest version. Recent versions should include an automatic update option from the dashboard. FASTDOT cPanel Hosting customers can use Fantastico Deluxe to install or upgrade to the latest version of WordPress with one simple click! 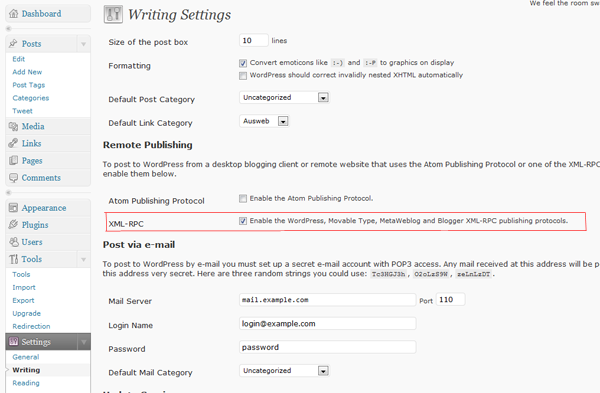 Step 2) Enter the URL of your WordPress blog, for example blog.fastdot.com.au – then enter your username and password. 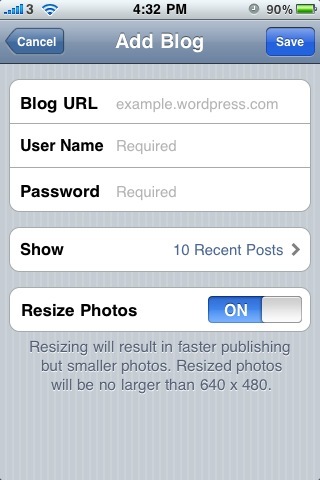 Step 3) Click on the blog you’ve setup and you’re ready to make posts and manage your blog on the iPhone! First ensure that you’ve typed in the URL of your blog correctly. 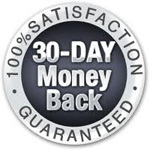 If it’s correct, you will need to verify that xmlrpc.php is functioning properly. You can locate your RSD meta tag by viewing-source on your blog.